Many cars and trucks represent the off road community but there is one motor company that's stands apart in 2015 when it comes to adventure motoring. From the now retired FJ Cruiser to The "Taco" Tacoma Pick-up trucks and even the Tundra not to forget the Land Cruisers Toyota Motor company has worked hard to create vehicles that epitomize the rugged 4x4 endurance. It is fitting that they created the TRD off road systems to give people a ready made off road package that would serve them in everyday use as well as their weekend expeditions. The TRD can be seen on every trail of the overlander world. It is because of this that you will commonly find wherever you go off trail a Toyota featuring a Roof Top Tent. It seems to us from a perspective of outfitting vehicles everyday with roof top tents that Toyota by far outsells its competition by 3 to 1 because we see more Toyotas equipping themselves with Toyota Roof Top Tents more than any other make of vehicle. 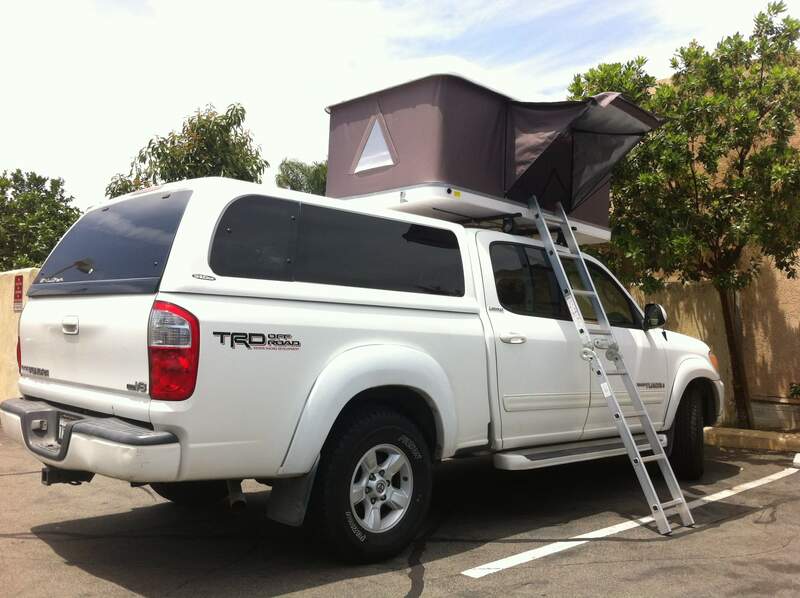 Toyota Tacoma being on of the most popular but we also see many Toyota Tundras installing Roof Top Tents.